Call or email for pricing and tech help. Tork Tech can internally port any supercharger for additional air flow capability. This applies to the '03/04 Cobra units, our Magnuson MP112 blowers, or any other supercharger you may have. We can also rebuild many different superchargers with new bearings, seals, rotors, etc. 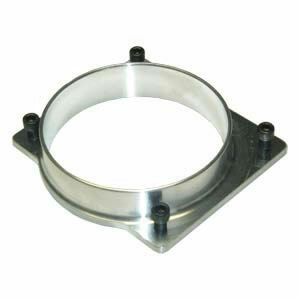 If you have a Windsor style engine you must purchase a new Romeo balancer from your Ford dealership. We can also provide this for you with a machined surface where your piggy-back style crank pulley will mount so it is GUARANTEED to not have any runout (wobble). Will work with the standard 7" TTI crank pulley or any of the upsized high boost pulleys. Offered optionally for those who are purchasing any one of our kits. Set of eight high flow 42# or 60# fuel injectors. Offered optionally for those who are purchasing one of our kits. 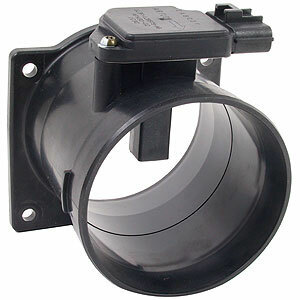 90mm Mass Air Flow Sensor. Includes new electronics. MAFS adapter for 90mm unit. Custom programmed SCT computer chip or hand held unit. We will need your computers calibration code and will likely need to discuss with you what other modifications you may have on your car. These are capable of four separate programs. One custom tune is provided for this price. If more tunes are requested we will gladly quote those for you. If you happen to already have a SCT hand held unit we can email you a tune. Call to inquire. High Volume Fuel Pump. Capable to approx. 425 RWHP. We only recommend these for stock engines making 400 RWHP or less. If you have a built engine with upgraded pulleys we suggest you explore the many other aftermarket upgraded fuel systems.